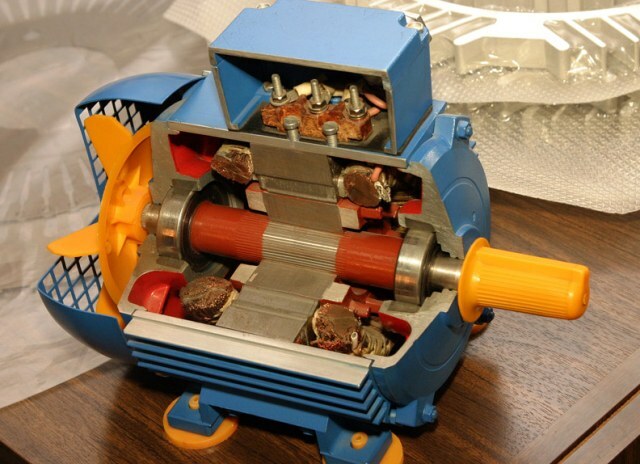 The power of the motor, usually specified in the technical documentation or in the type plate on the case. If so it is impossible to find, calculate it yourself. This can be done by measuring the current in the windings and the voltage source. You can also determine its capacity size. Useful power is calculated by the shaft speed. Turn the motor on by connecting it to a power source with nominal voltage for which it is designed. Connect the tester in series to each winding, setting it to measure current. Find the product of the current in each winding and the voltage. The results fold. This will be the rated power of the electric motor. Voltage is measure in volts, current in amps, then get the engine power in watts. To determine the power of the motorwithout attaching it to the electric network, follow these steps: 1. A caliper measure the inner diameter of the stator core and the length in millimeters. 2. Determine the frequency of the current in the network. 3. Determine the synchronous speed of the shaft. 4. The number 3,14 multiply the diameter of the core and the synchronous frequency of the shaft. Divide the result by the number 120 and the current frequency of the network. The resulting number of pole division of the scale. 5. Find the number of poles, by multiplying the frequency by 120 and dividing the frequency of rotation of the motor shaft. 6. In the specialized table, at the intersection of the values of the pole division and the number of poles of the permanent way of the motor. 7. Multiply by a constant core diameter squared, length, and synchronous speed. To obtain the power in kilowatts multiply the result by 10^(-6). To determine the useful power of the motor using a tachometer measure the rpm of shaft in Hertz (revolutions per second). A dynamometer, determine the pulling force developed in it. For this operation it is best to use a special stand. To determine the value of the net power of the motor, multiply the number 3,14 on the measured power, frequency of rotation of the shaft and its diameter.